Life is a marathon; not a sprint. The Tortoise and the Hare. The tortoise wins....every time. We watch Biggest Loser, Extreme Makeover: Weight Loss Edition, and Heavy wishing for our one-hour wonder. It ain't comin'. Weight loss T.V. shows are not reality... at all. Extreme Makeover is a year's worth of work packed in to a 43 minute show. Only 23 of those minutes really have anything to do with diet and exercise. The other 20 either make us cheer or cry...or both (guilty). Even in that year's worth of work the contestant has a trainer. A team of doctors. Occasionally they undergo skin removal surgery which reduces their size and weight (not necessarily bad, but it does make for a better transformation on T.V.). Don't forget the constant motivation of a camera crew. It's a prescribed, money is no option, way to get it done. That's great! It's just not reality. It leaves us believing we've failed if we fall short. Not true! The same holds true for 6-week slim downs, detox diets, and fasting for weight loss (Stupid!) Small print says results not typical. Some are just a straight up fabrication. The may make a difference for a month, but then it's back where we started or worse. Don't misinterpret my knock at shocking transformations as meaning we can slack. I would just rather teach a man to fish, have them poke themselves with hooks, have days with empty nets, and grow into a master fishermen than feed them fish and think since they tasted it once they can fend for themselves; for life. 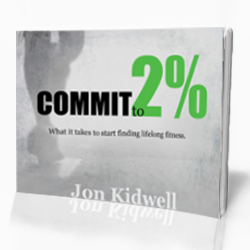 Losing weight, improving fitness, and creating a healthier life takes commitment. It requires retraining the brain and the body. It takes time. Seriously, muscle hypertrophy (growth) isn't attained or noticeable for 6-8 weeks. An individual that loses 50 pounds in 1 year averages 1 pound a week. That is a 500-calorie deficit a week, for 52 weeks. That is crazy. That is commitment. That is what it takes. The problem is that it's still too slow for us. If it doesn't happen at the push of a button it must not be worth it. Well, we're wrong. It's worth it! It's worth it when we can play with our kids. It's worth it when we can give up the blood pressure meds. It's worth it when we're not worried about what others think. It's worth it when we're no longer sick and tired of being sick and tired. It's worth it when we can say 'YES' instead of having to say 'NO'. It's worth the wait to really lose the weight. Be physically active 30 minutes every day! Stop eating processed/manufactured crap and eat real food. Just remember. Walking up the weight loss hill is slow going. And that's okay. But when you hit the top, and you will, there's a spectacular view and a pretty sweet ride down the other side. 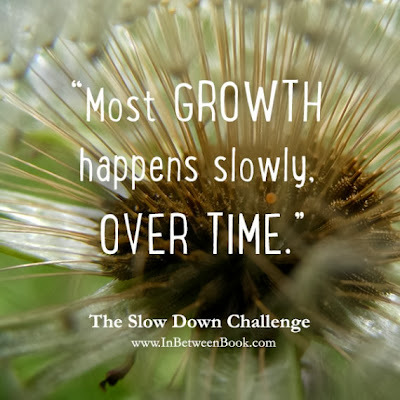 Fill in the black: Slow is okay. Working for weight loss is worth it because ________. Leave your comment below.